Mike Cairnduff hails from Melbourne, Australia and works as a recruiter in the education sector. He has traveled to China many times and loves the people, country, and culture. In part due to his passion for China, he set up and manages a recruiting platform called “Hello Teacher!” to help other Westerners pursue teaching careers in China. In this interview, Mike shares a little about his initial journey to China, and the reasons that have made China an integral part of his life. China Culture Corner: What first brought you to China? Mike Cairnduff: Growing up I always found foreign languages and cultures fascinating. So, when my aunt adopted a baby girl from Shanghai in the mid-90s I decided to study Mandarin. Back then, Australian high schools rarely offered Mandarin as a subject, so I chose to do an additional half-day of school every Saturday at a government-run language school. I really was the odd one out; in a class of about 30 kids I was the only Caucasian. It didn’t bother me though as I was there to learn the language and immerse myself in Chinese culture. As soon as I graduated and got in to The University of Melbourne, I made sure I studied Mandarin alongside a business degree. It was a brilliant four years and Mandarin was by far my most enjoyable subject. As part of my studies, I was lucky enough to get a scholarship to study intensively in Xi’an for about a month. I arrived in the final weeks of December, 1999, in the lead-up to the year 2000. I remember being in Xi’an on New Year’s Eve, walking into the city center through the ancient city wall. Fireworks were going off all around me; it was a great night. It was then that I knew China would be part of me forever. China Culture Corner: What was your first time in China like? How bad was the culture shock? 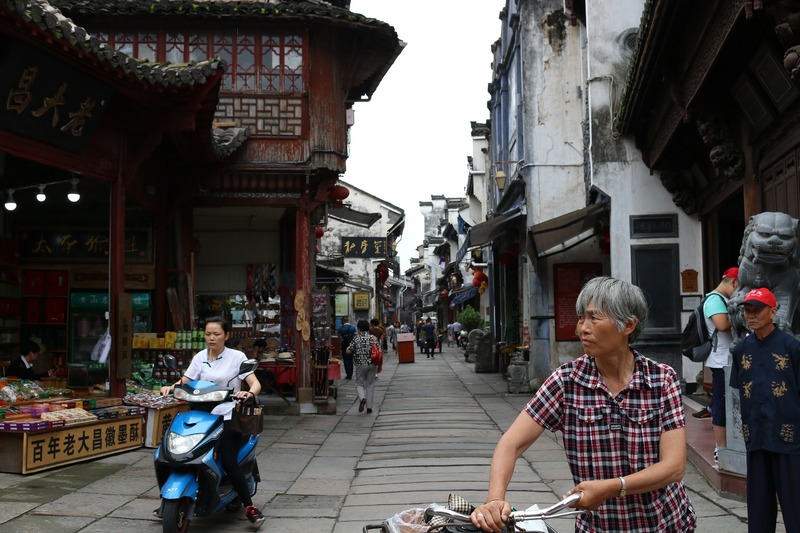 Mike Cairnduff: My first time in China was overwhelming. Before we took the train to Xi’an, we spent a few days in Beijing. I remember that everywhere we went, street peddlers would come running up to us trying to sell us stuff. They would literally put postcards in my face, begging me to buy some. I found it hard to say no, until I was told by the tour guide to say “Bu xihuan!” in a very direct way. I’m very tall, and with my then-bleached blonde hair, stuck out like a sore thumb. People constantly stared at me and spoke behind my back. It was a strange feeling, one that I had never experienced before. I think it’s a lot easier in China these days as the locals have seen so many foreigners, at least in the big cities. At that time, I felt China was very behind Australia, in terms of modernization and just ways of doing things. Everything seemed bureaucratic and involved lots of red tape, even for supposedly simple things like sending stuff at the post office. Overall though, I absolutely loved my experience in China. I probably learnt more in this brief period than in years at university. It truly opened my eyes to other people, their languages, and cultures. And it made me want to travel the world! China Culture Corner: How do you feel about the Chinese people and society? Mike Cairnduff: I find Chinese people to be incredibly generous, kind and friendly, probably more so than people in any other country I’ve visited. They are innately inquisitive, which some first-time visitors might find strange, but it’s this want-to-get-to-know-you attitude that I simply love. They are a very proud people, and I believe this goes back to their centuries-old society. As someone who lives in a relatively new country, i.e. Australia, I find their culture and traditions quite complex but also so very interesting. Although China has caught up to the West quite quickly, I think the culture, and things like family structure, has pretty much stayed intact. Take the Spring Festival as an example. You really see how important the role of the family is in China is at this time of year. Chinese people will travel thousands of miles to spend time with their family – no matter what – to cook, clean, and spend quality time with each other. I don’t see the same level of commitment to family in the West, certainly not in Australia anyway. China Culture Corner: What advice would you give to Westerners interested in coming to China? Mike Cairnduff: I can’t recommend it enough. It changes your life in ways that are hard to articulate. If you happen to go for a short touristy stay, make sure you get off the beaten track for a little bit, even if that means simply avoiding the “tourist food halls” and eating local fare instead. If you happen to stay longer, take up any invitations to have meals in people’s homes – this is where you’ll get a real taste for Chinese culture and hospitality. Overall, I think having patience is key. Things may not go as planned, or at least not the same way as they do back home. You need to keep reminding yourself that you’re in a foreign country, and that it’s normal to feel a bit strange at times. It’s important to just try and let go – sometimes that’s easier said than done! China Culture Corner: What’s important to remember to have a good experience teaching English in China? Mike Cairnduff: Be flexible. China’s education system is very different to the West. You need to let structure go the minute you arrive, because in some ways daily life in China can be very unstructured. You need to learn to go with the flow. For example, getting a meeting invite an hour before the meeting starts is normal. Not a great deal is planned for weeks, or even days, in advance. Some Westerners find this difficult to adjust to. Doing some research before you go is key. Prospective teachers should have a think about the kind of school they want to teach at, the level of the students, the location of the school, where the accommodation is located, and so on. For me personally, the salary should be a final consideration, not the driving consideration. If you’re thinking about teaching in China solely for the money, you’re making a mistake – head to Japan or South Korea instead! What China can give you, however, that other countries can’t, is the once-in-a-lifetime craziness of a developing country. It really puts things in perspective for you. Teaching overseas is a big move and that’s why enlisting the help of a recruiter you can trust is critically important. 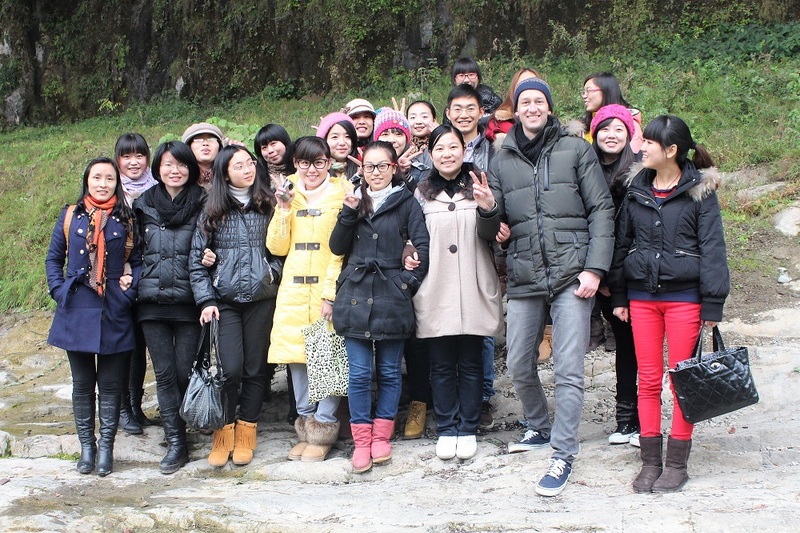 China Culture Corner: Can teaching English still be a viable occupation for Westerners in China? Mike Cairnduff: China’s demand for qualified, native-speaking English teachers isn’t showing any signs of slowing down. China is very much aware that English is the world’s international language; no other language comes close. Chinese parents have an expectation that their child will study English and eventually become fluent. Salaries for native English teachers in China continue to go up. At worst, you’d be earning about double a low or average salary in China. In the private sector, many teachers are earning salaries that local Chinese can only dream about. That means you can live like a king or queen for as long as you’re living in China. Just remember that the money probably won’t be as impressive when you exchange it into your country’s currency. Many teachers do a one-year contract in China and then return to their own country, while others continue on, often changing schools to explore other great areas of China. Everyone I know who has taught in China, even if just for a year, has described it as a life-changing experience that they will never forget. I think teaching in China is most definitely a viable long-term career, provided you love Chinese food! China Culture Corner: In recent years, the Chinese government has introduced regulations that make it harder for unskilled labor to work in China. How does this affect the education industry, and how should foreigners who want to teach in China prepare? Mike Cairnduff: It’s definitely not as easy to teach in China as it used to be, especially in the big cities like Beijing and Shanghai. Gone are the days where an unqualified Westerner could arrive on a tourist visa and start teaching English immediately. The guidelines state that you need a degree and TEFL certificate to teach in China. We are seeing that this is being enforced more than ever before. In addition, new visa requirementsinvolve getting some of your documents legalized. This means the visa application process is taking longer than before. Due to these changes we’ll ultimately see better quality teachers in Chinese schools. That’s a good thing! If you’re a qualified candidate, i.e. you have a degree and TEFL certificate, preparing is easy – you just need to have hard copies of your documents ready to go. Then it’s a matter of liaising with your recruiter to help you with the next steps. China Culture Corner: Are there any last thoughts you’d like to share with aspiring visitors to China? Mike Cairnduff: If there is only one foreign country you visit this year, make sure it’s China. Many people who end up going to China have pre-conceived ideas of what the country is going to be like, only then to find out it is so very different. You really will be pleasantly surprised. If you’re not familiar with Mandarin you’ll be fine in a tour group, but if you’re traveling on your own or with a small group of non-Mandarin speakers, I’d recommend you learn a few words before you go. And have your translation dictionary on your phone ready to go! Do you have any additional questions about teaching English in China? Are you interested in experiencing the Chinese people and culture? Please feel free to post your thoughts in the comments section. You can also send a send a message directly to the author on social media. So enjoyed this post! 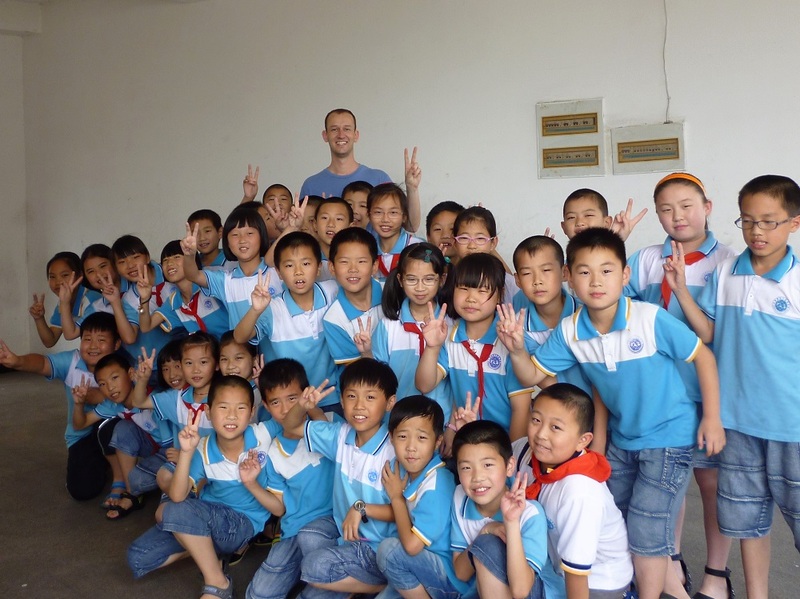 I’m currently working on getting a TEFL and found Mike’s experience particularly helpful. Thank for another enlightening post. Hi Carol, glad to hear you enjoyed the post! If you ever plan on visiting China just let me know and I’d be happy to help out. Thanks, Sean, and thank you, Mike! In 2004, I took a leave of absence from my high school in Canada in order to experience China. It was, indeed, a life-changing experience. I took a job teaching English at the Harbin University of Science and Technology, in the north-east, near Russia. What I’d say to Westerners thinking of visiting China is something I’m sure you’d both agree with. It is: Go with an open mind and an open heart and remember to smile. You can’t lose that way, not really. As you say, Mike, be patient and go with the flow. There may well be things you do not understand or even “like,” but tell yourself it’s all part of the adventure, of the grand learning experience that you’ve embarked on. And be ready to be touched, moved and inspired! Hi Ramona, glad to hear from you again! It’s funny how these short trips to China can be so memorable. I still remember my own first time, which actually wasn’t teaching but rather going on a band trip back in 2001. It really did kick off a “grand learning experience”! Hi Ramona, that’s great to hear you also taught in China. Have you been back lately? So much has changed since 2004! I haven’t been to Harbin yet, but it’s definitely on my to-visit list! Totally agree with your comment about having an open mind and heart. In 2008, after I could walk again, I took my second trip to China. For 4 months I studied Mandarin 在沈阳师范大学。Then in 2014 (third trip), I returned to China with a group of Canadian humanitarian doctors to retrace the footsteps of Dr. Norman Bethune (白求恩), 75 years after his death in China. Another amazing trip! If you ever do plan a visit to Harbin, make sure it’s during the International Ice and and Snow Festival. It was certainly one of the most exciting events I’ve ever experienced.